This blog wasn’t made just to talk by myself, but to inform everyone interested about new information based on internet marketing. The best homework for a blog is to get people involved and ready to participate commenting and releasing opinions, and so this one is no different from any other blog. In fact in every article I write I invite everyone to leave his feedback, to comment the notice, and I will do also many contests to incentivate visitors to participate and keep this blog active as an interesting info place. Also if you have any question, any tutorial you may need for something you aren’t good with, please write an email with the easy “Contact Page” and I will do all what I can to asnwer or to build the tutorial you need from zero, to make things easy for you. I don’t know how many internet marketers are doing that task, but I think any blog may be built around the visitors, not only for the visitors. Because you can choose the next post I will do! In fact another interesting option of this blog, when I will get a minimum number of followers, is that visitors could choose the next post through an easy survey. Another big deal for everyone involved, who permit me to write the next post knowing that most of my followers will be really interested in that. I know that AlessandroZamboni.com at this point can seem an experiment, but if I will be able to keep up the expectations I think this will become absolutely the best blog around for internet marketing, also because it will be completed by other blogs I built, like Blogindabox.com for internet marketing reviews, and Paypalfactory.com who is now in restyling to hosthundreds and hundreds of new products for interested people. This 3 websites network will be something unique in internet panorama, especially for this topic. So, once more, I hope you will collaborate leaving comments, sending ideas, and participating making your survey votes and winning at least one of the many contests I will launch. Thanks so much and see you inside the Alessandro Zamboni blog! What is This Blog? 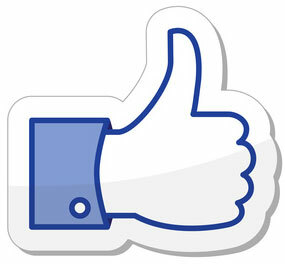 Facebook Introduces Embedded Posts Welcome to Alessandro Zamboni Blog! Are You Starting Internet Marketing? What is This Blog?